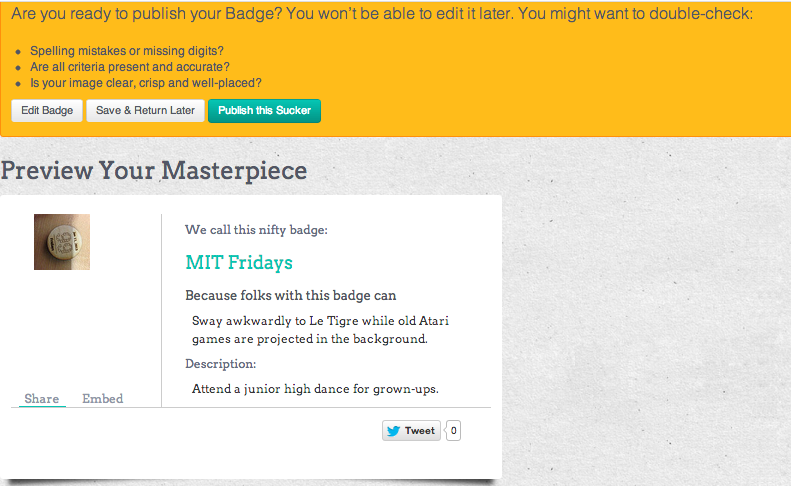 Your Task: Design your Badge, save it as a draft, and post the URL for feedback below. Make your own using a design tool like Inkscape. Save your file, and upload it at Create a Badge. You'll get a preview to check for spelling and design. It's wise to double-check the Badge before you publish it--you won't be able to change it once it's published!